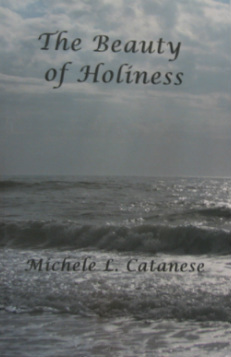 I have written and published a book, The Beauty of Holiness, which is a book of short reflections/meditations that are meant to help one on the spiritual journey. Each chapter can be used for daily prayer and reflection, or simply to meditate on a virtue which may have been exemplified in the life of a particular saint. From the Introduction: "Each chapter is intended to offer a short, stand-alone meditation on particular virtues or graces possessed either by an "official" saint or by people we consider holy." My intention is that the meditations will inspire people to see beauty all around them. Just as St. Ignatius of Loyola encourages us to find God in all things as a result of our prayer and spirituality, I hope that this book will help people along the way of their spiritual journey. If anyone is interested in purchasing a copy it is now available on Amazon.com. Click on this link to get there.